A great raw material, natural ripening, craftmanship… and time, make our cured cheese a source of taste. 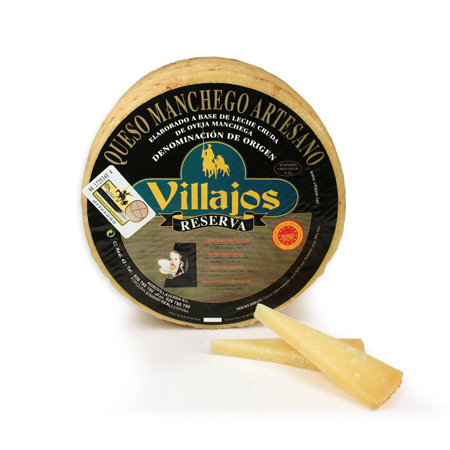 The Villajos Reserve artisan Manchego cheese with denomination of origin is an artisan cheese made from pressed paste, intense ivory colour and small and irregular holes. It has a distinctive taste with a characteristic aftertaste. What particularly defines this cheese is its ripening period of more than 12 months. It is very appropriate for those who look for a very cured cheese with a sharp taste.